According to research, the 3/50 project has identified that for every $100 spent in independently owned stores, $68 returns to the community through taxes, payroll, and other expenditures while shopping with national chains retains only $43 and online shopping retains nothing! We can all agree that shopping local is a great concept in theory, but when you consider these figures, the choice to focus on Berwyn is obvious. 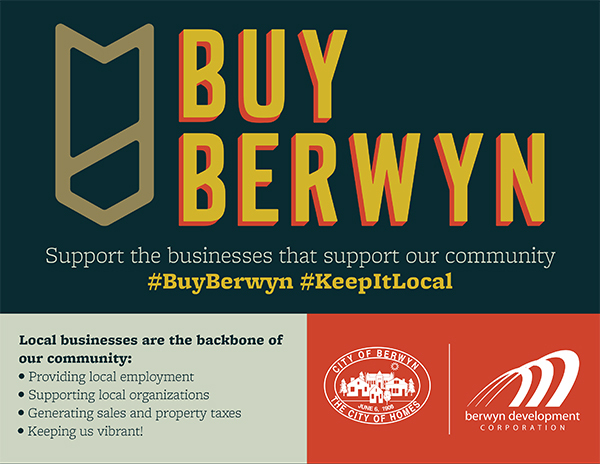 The BDC launched Berwyn’s own shop local campaign, Buy Berwyn, in 2010 after the BDC membership unanimously passed an Advisory Resolution calling for the BDC to create a Shop Local initiative. The purpose of this Chamber promotion is to build awareness regarding the benefits of shopping local and to encourage support for the local business community. 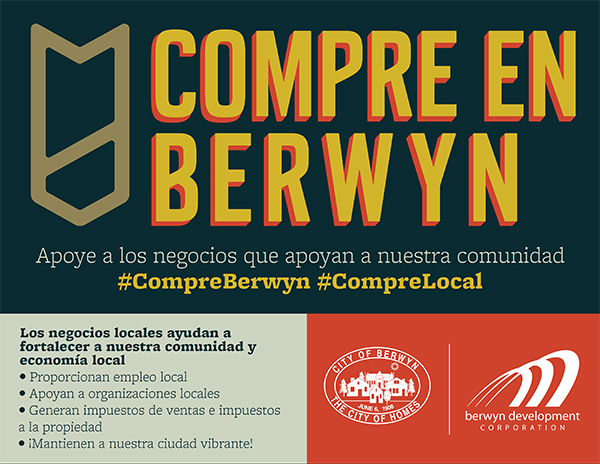 To market the campaign, the BDC has created window posters in English (Buy Berwyn) and Spanish (Compre en Berwyn) exclusively for BDC members to display in their storefront windows or prominently in their businesses. The posters are consistent with the City of Berwyn's annual marketing campaign, Why Berwyn?